Well, there I was...backing into a parking space against a curb and I was in a hurry and I heard it...SCRAPE! One fraction of a second...barely moving. Got out and looked at the rim...OOOOOOWWWWW! Well, no need to fear. 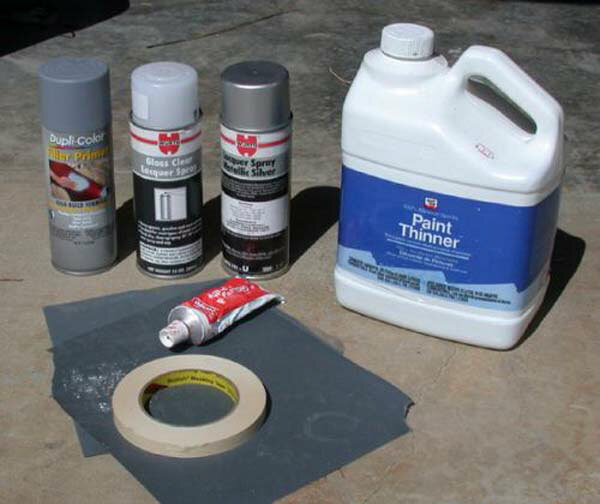 I've done this enough times to have an easy way to do home repairs with a few simple items. Note that this procedure only covers light scuffs. 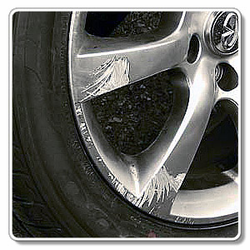 This isn't meant to be used to repair a damaged wheel or one where the scuffs cause significant damage to the rim. This is only for those annoying superficial scuffs, which seem to happened to me more times than I care to admit. There are plenty of good services which can do this for very reasonable money. Many of you will happily use a service, but I'm inpatient and have the free time (generally) to spend a couple of hours on a repair. Plus, it really takes the edge off "donking" my wheels when I know I can simply fix it myself. PLEASE NOTE: Although this is a Porsche wheel, the 1Z Silver Spray Wheel Paint and Wurth Silver Wheel Paint are a perfect match for Porsche, BMW, Audi, Mercedes-Benz and some VW wheels. 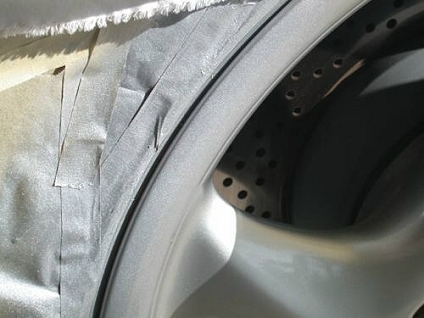 It can also be used to completely refinish any wheel. 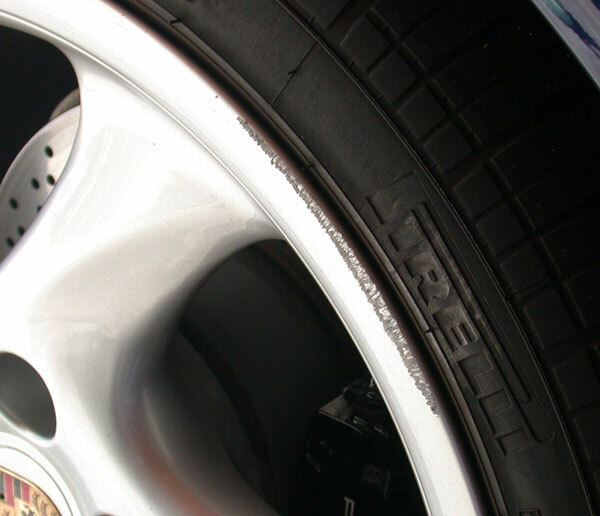 The following technique, explained in nice detail by "NASAraser of AudiWorld.com", is a good way to do a small area repair if you curb your wheel or otherwise damage a small area. Step 1. Clean... Clean... Clean...and did I mention CLEAN! This is one of the most important steps. Use paint thinner to THOROUGHLY clean the ENTIRE area around the damage...you need to get ANY wax or polish or anything off the wheel...I'm going to remind you EVERY step...I probably end up wiping down these surfaces 10 or more times before painting...if you don't do this, the rest is pointless. 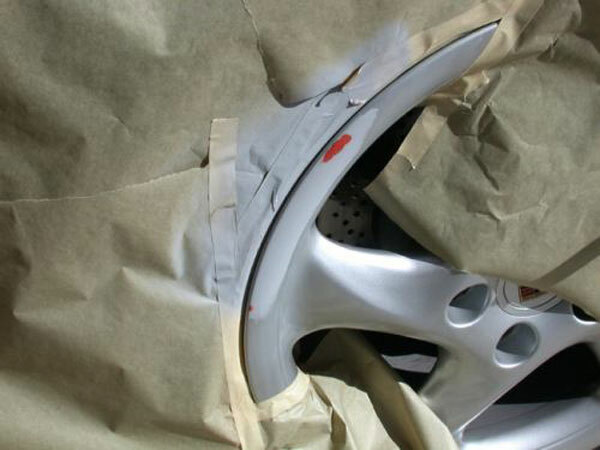 Also, we want to work ONLY on the area that's damaged...don't go nuts and try to paint half your wheel on the car...for this technique to succeed we want to sand and paint the area only IMMEDIATELY around the damage. 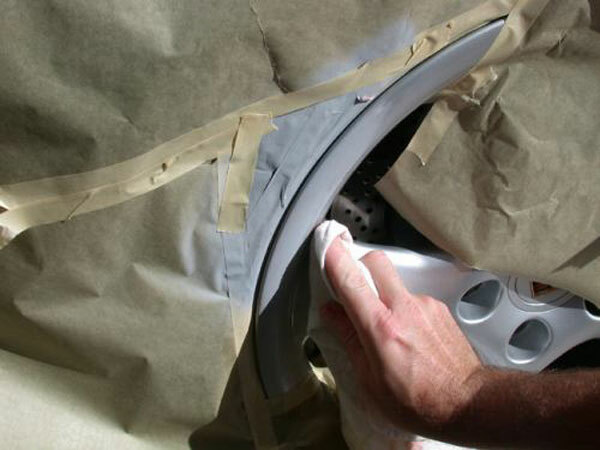 Use a lint-free cloth to clean the surface to be painted with Wurth Clean Prep. 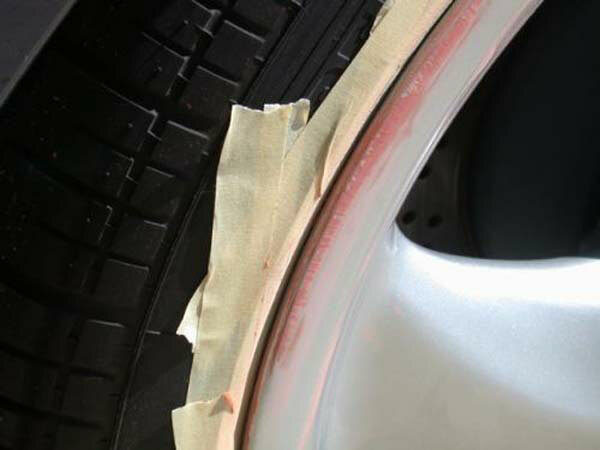 I like to START by masking the tire from the wheel...get the masking tape WELL behind the rim. Next, sand the area to a nice "feather" with 240 grit sandpaper and wipe some spot putty on. IMPORTANT...this ENTIRE project will work best if the wheel is in the sun and its a nice warm day...the drying time of spot putty is minutes but if it's cold or damp, this project is likely to not work out too well. 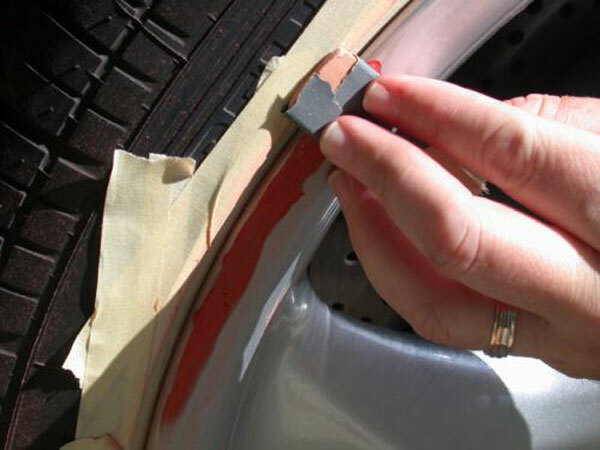 Remember...keep your sanding to the IMMEDIATE area around the damage. Trust me on this. So once you've done the first round of putty, switch to the finer of your sandpaper (400 grit in my case) and sand and putty until it FEELS and LOOKS flush. Note that I use the paper wrapped around a piece of wood or rubber eraser to make a flat sanding block. It's best to sand with a flat block to get the smoothest finish. Note that up to this point...including waiting 5 to 10 minutes between coats of putty that the whole project has taken about 40 minutes. Okay, here's where a bit of laziness is going to create an entirely new project. The silver metallic paint will get everywhere. I'm talking permanently attached to the fender on the opposite corner of the car. 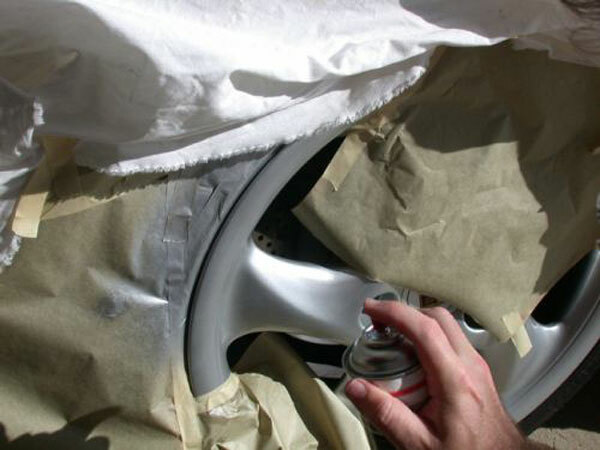 Mask carefully and cover the entire car with an old sheet or equivalent. I've used the scratch-filler primer and sanded it and put a bit more putty on. Note that this is the first place where I use my special technique. Immediately after I spray the primer (or paint) I clean all of the overspray off the spokes of the wheel (clean rag and paint thinner) and the area around the inside of the rim. I do not want to try to get the paint to smoothly adhere to the entire wheel! We only want to paint the REPAIR. Only the clear coat will be sprayed without wiping off the overspray. Wait for the primer to fully dry and lightly sand it with 400 or 600 grit sandpaper. 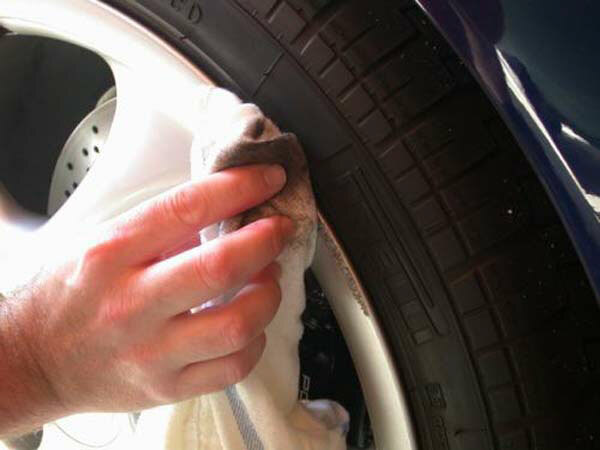 Use a lint-free cloth for cleaning your wheel. Prior to cleaning with paint thinner (Prepsol is even better), scrub the tire and wheel with dish detergent (Dawn) to remove as much silicone (tire protectant) as possible. Dry thoroughly. VITAL: Read the instructions on the can! If you try to use this paint in cold temperatures (or in damp conditions) it's going to be a mess. Shake the can for at least a full minute and push the spray nozzle as you sweep across and release at the end. Spray on, spray off. Spray on, spray off. Apply as a very fine coat. You're not trying to make it glossy. That's the job of the top clearcoat. This is roughly the distance I used the can from the wheel. I highly recommend practicing on a scrap part to get used to the distances and thickness this paint sprays. Now we should be nearly done but (as always), Pete got inpatient and sprayed the clear way too soon. As a result, the clearcoat lifted the silver paint and messed up my job. Here's the paint lifting due to the clearcoat being applied too soon. Be sure to give plenty of drying time. This is no biggie. Take a deep breath, get out your rag and the paint thinner and take it all off. The thinner I used did not eat into the primer so I simply cleaned the wheel (again) and re-sprayed the silver paint. Okay, fast forward a few minutes... I had to roll the car forward a bit to keep it in the sun and I had cleaned (and let fully dry) the wheel and RE-sprayed the silver. Now I'm carefully removing the silver overspray. After the silver colorcoat dries (overnight is best), you can apply two thin coats of clear with about 20-30 minutes of drying time between coats. After the clear dries (another day) you can use 1500-2000 grit wet and dry or a fine cut compound to feather in any traces of the repair. 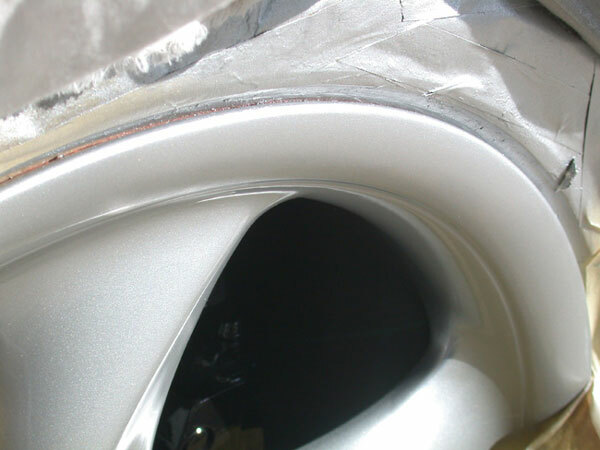 Use a final polish to restore full gloss. 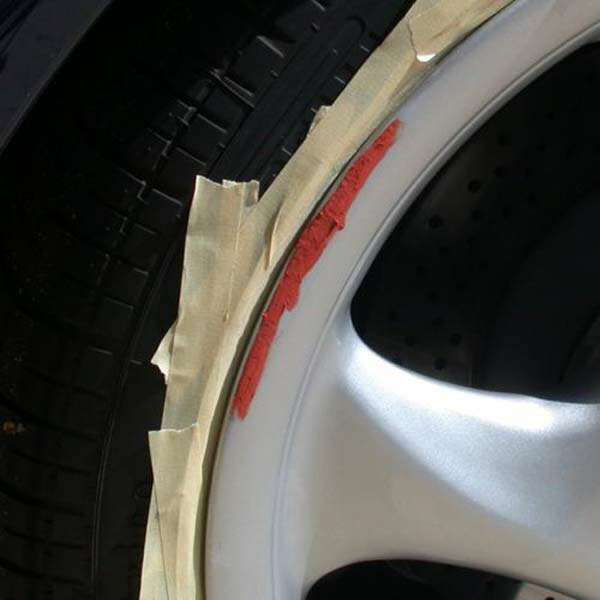 Here's the nicely repaired and painted wheel! Article and Pictures by NASAracer, Audiworld.com.